I hope everyone is well and busy writing in your spare time -- which is most everyone's desire. I believe everyone has a book or two in them. I proved it by writing Bridgetown High. "It is hard to believe that this book is this author’s debut novel. I have to say the author’s note referencing that the setting behind this story takes place in the mid-1960’s, had me nervous going in. However, I have to be honest, the way this author wrote this story I didn’t feel lost or unaware of the surroundings within. The start to this story nearly broke my heart. AND THAT WAS ONLY THE FIRST PAGE! After that I knew I would not be able to put this book down. The story is told in multiple POV’s which I happened to enjoy a great deal. "I do not want to say much or give anything away because this one needs to be read going in blindly. I will say, once I got to that Aha moment I was floored. I really enjoyed how the author used words, landmarks and life events to describe a setting or scene so that I really could imagine how it was in the 60’s. I can tell that this author researched a lot and put a lot of effort into this book. The conversations and language used in the book is how I would have expected it to be like in the 60’s. Like the close family unit, people’s view points on the Vietnam War and music. "Mark’s pain, anguish, grief, rage and guilt over the loss of his parents and sister is felt on every page. I can’t imagine losing my family in such a tragic way, but his author was able to have me emotionally connect so much that I felt like I was there with him sharing his pain. Mark’s need for revenge of the person responsible for their death was palpable. The three characters that surround this book were very well developed. Mark, Gina and Jeff each have a story to tell and their lives are connected in some way. As the year unfolds secrets, manipulation and danger will follow the lives of these 3 teenagers. "I got more than what I imagined I would have when I started this book. The drama and angst level was over the top. If you love a book that has drama, action, suspense, jealously and fast cars then this is your book. I thoroughly enjoyed this story and I can’t wait to see what this author brings us next." Isn't that a great review? I'M EXCITED TO ANNOUNCE that my publisher, Limitless Publishing, and I are going to do another Blog Tour for Bridgetown High. Along with the tour, we're going to give away some electronic versions of the book. Keep posted as I haven't set it up yet, but will soon and want to be able to let you know. Maybe you can join in the tour and gain some publicity as well. A warm hello to all my faithful friends and followers, in spite of this cold and snowy weather we're having here in Utah, U.S.A. I want to welcome all those who have "friended" me during the last week and forever. I apologize for not posting last week, but time just didn't allow. Today, I learned something that I think you all need to know and do if you expect your books to get quality reviews on Amazon. 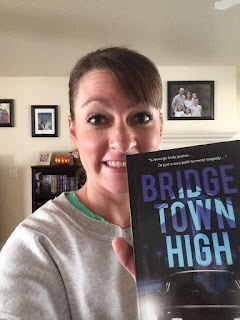 If you have tried to post a review of Bridgetown High and weren't able to do so, I just found out there's evidently a right way and a wrong way to access Amazon to post a review, and this may be the reason your review didn't work. I just watched a short video that explains this. To access my book's Amazon page, I've been giving you this URL: https://www.amazon.com/dp/1680583093/ref=cm_sw_su_dp. Evidently, this URL has a code that tips Amazon that you are a close friend or family member and thus in their mind, not eligible to post a review. The correct way is to do this without that code: https://www.amazon.com/dp/1680583093/. So, if you tried to post a review in the past, but weren't able, I would appreciate it if you would re-posting it using this different URL . I'm sorry for not knowing this before, but frankly, I didn't know this before. Also, remember to sign up for my email letters on my Blog Site? I would love to see you there and have you introduce yourself and give comments to this blog. Have a wonderful week. Hi to all my family and friends. I hope you enjoyed some of the posts I put on Facebook this week. Today, I want to explore a concept I remembered a couple of days ago. My wife and I were watching the movie of, "Little Women" based on a novel by Louisa May Alcott. In the story, Jo (Josephine) March is a writer, and wants to be an author, just like you. Near the end of the novel, Jo goes to New York to take on a position of a teacher and nanny. While there she meets a German professor who is struggling to get a teaching job. They strike up a friendship and when Jo tries to sell her novel (Little Women), her manuscript is rejected. She feels hurt as many authors have felt. Then, she confides in her German professor (Mr. Behaer) who tells her that her novel isn't as good as she thinks. She needs to put her heart and soul into her writing, otherwise her writing is bland. This isn't exactly how the conversation went down, but something like it. So, it got me to considering my feelings about my novel, the motives, the loves, the jealousies, the hates, the heartbreaks, etc. 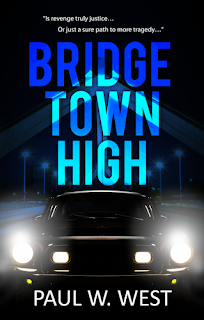 I've been struggling with the sequel to Bridgetown High, and this may be the reason. I told this to my daughter and she replied "... to help you feel the drive and passion for this book, you could ask yourself what do you want to say. Writing a book isn't just about telling a story, but it's also about using the space to speak your mind and offer your thoughts to the world." God bless that sweet daughter of mine. She's absolutely right. I hope that piece of advice helps you too. So, until next week, keep writing, and as always, if you like this blog, please "Share" and "Like"it on Facebook , and "Retweet" it on Twitter. 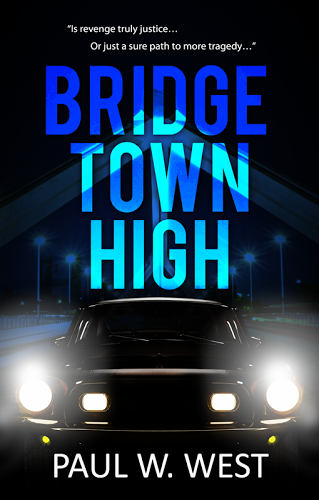 Then PLEASE, if you haven't already done so, take five minutes to write a short review of "Bridgetown High" and post it on my author page at Amazon and/or Goodreads.